Speaking at EA's E3 2008 press conference earlier today, Will Wright revealed that Spore already has more species than Planet Earth. Firstly though, Rod Humble, head of the Sims studio, kicked off events showing off the new title for Nintendo consoles, Sim Animals – essentially a Viva Pinata-style animal rearing game for the Wii and DS. (The irony of EA 'copying' (former Nintendo developer, now Microsoft-owned) Rare to make games for Nintendo consoles is not lost on many journalists present). Humble told the assembled press horde: "You'll discover that just like the Sims, these animals have a mind of their own… We designed a game where you just reach out and make things happen. The game world is the interface." Sims Animals is due for release on Wii and DS in January 2009. Glen Schofield of EA Redwood Shores is next up to present Dead Space (due on 360, PS3 and PC in October) followed by Patrick Soderlund, EA's head of European Studios up to show off the parkour/street-running title Mirror's Edge. Next up is legendary Sims-creator Will Wright to talk about Spore and, specifically, to highlight the near divine powers of the recently released Spore creature creator. "Right now we have about two million creatures," says Wright. "The number of unique creatures in Spore has now exceeded the total known species on Earth." Former Xbox boss Peter Moore follows Wright to big up the future of EA Sports with a significant sounding mention of 'dynamic DNA' in a forthcoming NBA game. Many British journalists present at the conference look slightly blank at this point. Moore also mentions the success of the 'All Play' system on Nintendo Wii, the easier to play version of EA Sports games designed to appeal to newbies and casual players. Following Moore, EA's John Pleasants, the head of EA's publishing wing takes the stage along with Nanea Reeves to talk more about the EA Online Group to discuss games such as Spore and Battlefield Heroes and, specifically, to announce its nucleus system, which tracks a player's identity across multiple games. Shawn Fanning follows them up on stage to talk about Rupture - a cool webpage that allows you to track a friend's gaming progress. Travis Boatman from EA Mobile is next up to talk about iPhone games. 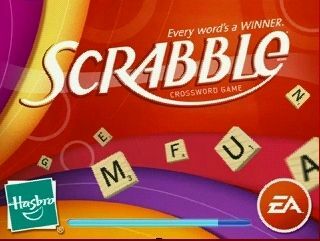 The iPhone's accelerometer is (somewhat strangely) being used in the forthcoming Scrabble game (shake the phone, shuffle your tiles) and – more impressively – you will be able to play EA's Scrabble over Wi-Fi with your iPhone-owning friends. Unsurprisingly, versions of Tiger Woods, Need for Speed and more major EA franchises will all soon be making their way to iPhone. Back to the 'proper' games, Bioware's Greg Zeschuk is up to demo Dragon Age Origins described as the spiritual successor to Baldur's Gate, followed by gamer's favourite Gabe Newell from Valve to show off a little more of the promising Left 4 Dead, which the company claims marries the consummate story-telling and narrative pull of Half Life along with the social, team-play aspects of Counter Strike. Woww (out Nov 4 for PC and Xbox 360). "We're opening a new chapter with id with RAGE. It's a new look for us at first person gaming," says Carmack, introducing a new id game, which he promises to show more of at the next Quakecon.